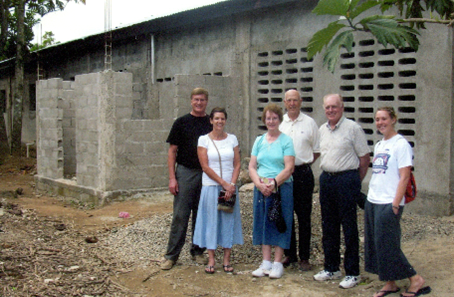 In the fall of 2004, the St. Remy Parish Council was seeking a twinning relationship with a Catholic parish in Haiti and asked for volunteers from the parish to travel there. A husband and wife volunteered and what they found was so shocking that they didn’t know where to start. No electricity, few, and very poor roads, 80% unemployment, very little health care, a poor and ineffective government, few had any means of transportation, and only 3% had an education. This was just some of the problems that were found in this semi-rural area of Balan, Haiti. After much deliberation it was decided that the only place to start was in helping to educate the people of Haiti. The mission statement for this endeavor became: "Help these people to help themselves by providing support for education and some basic health care." 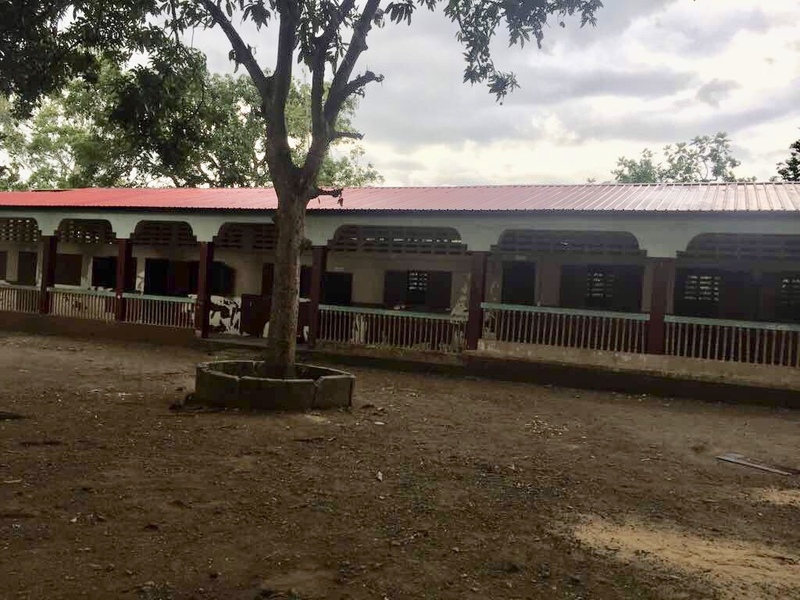 With help from St. Remy Parish, the school at Our Lady of Victory Parish in Balan, which is near Cap-Haitien in northern Haiti, has more than doubled in size. 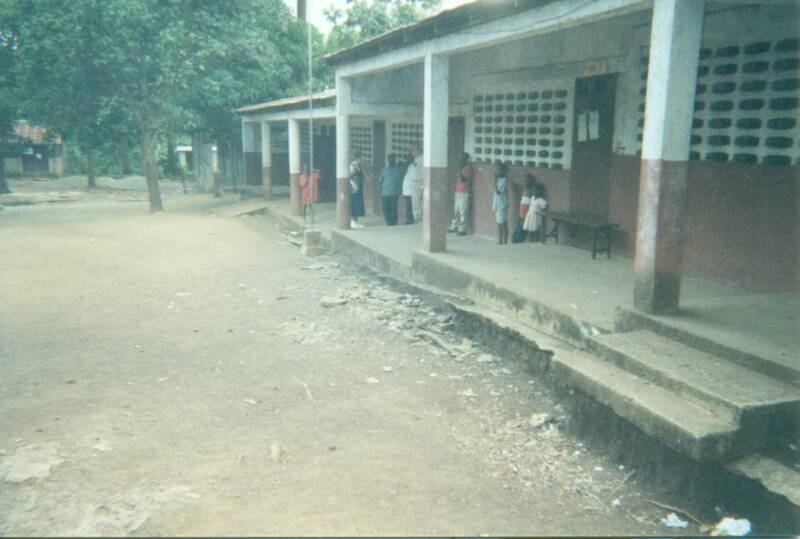 Members of St. Remy's are currently sponsoring 87 students in this school! 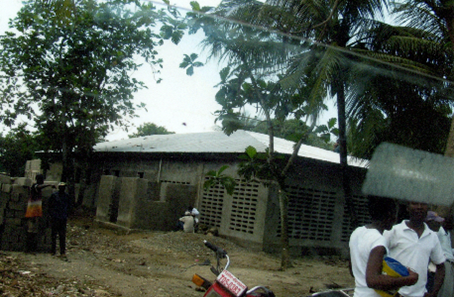 Here is a picture of the old school in 2005 with four crude walls and a roof. 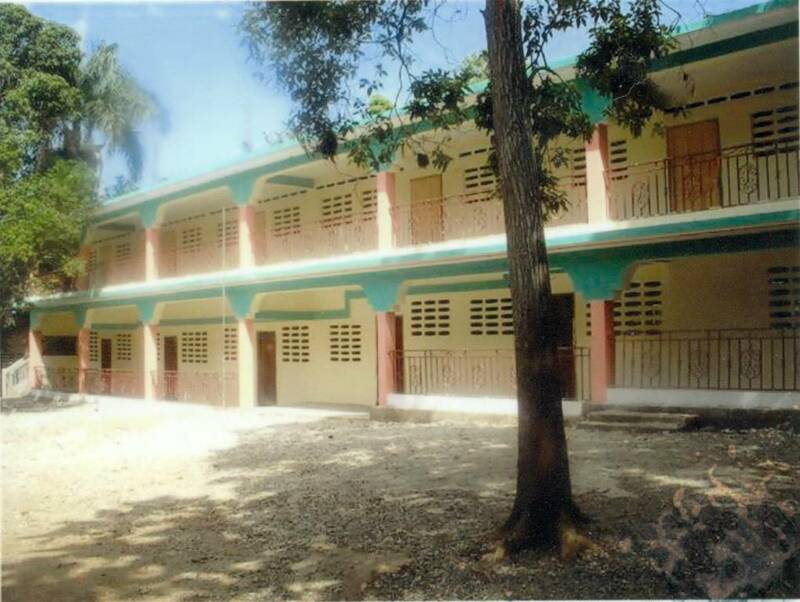 This is the school in 2008 with a second story added, improved restrooms, finished and painted walls, and chalkboards. 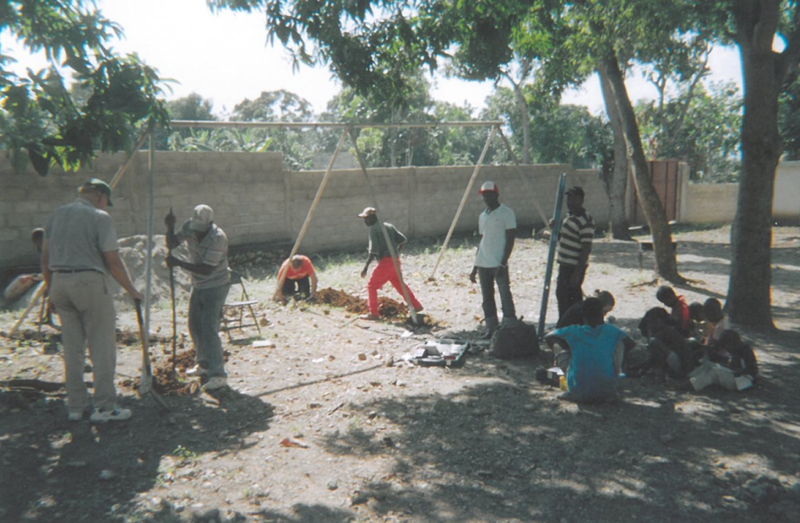 In January of 2009, St. Remy's Haiti Mission Group started to build a medical clinic. They had the walls up when the Order of Malta in France discovered it and wanted to help improve it by making it "bigger and better," with birthing rooms, a pharmacy, and quarters for doctors and nurses. Tufts University from Boston, has also become involved in this project. 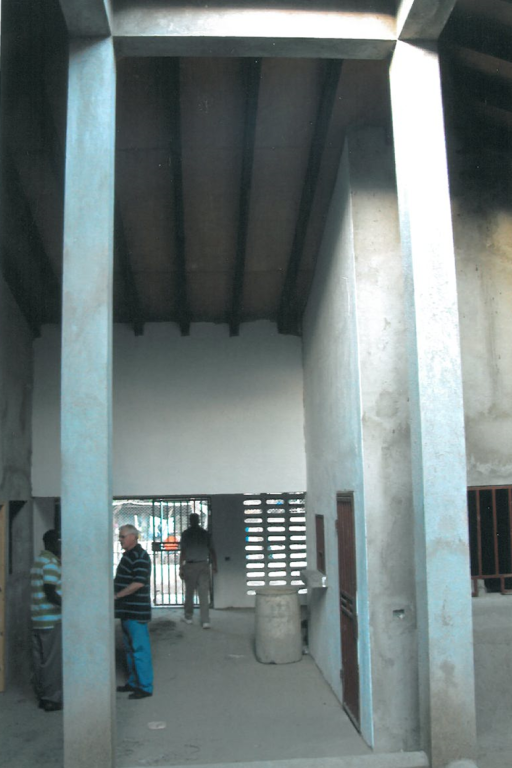 A language barrier between the contributing groups and the contractor is slowing the completion of the building. 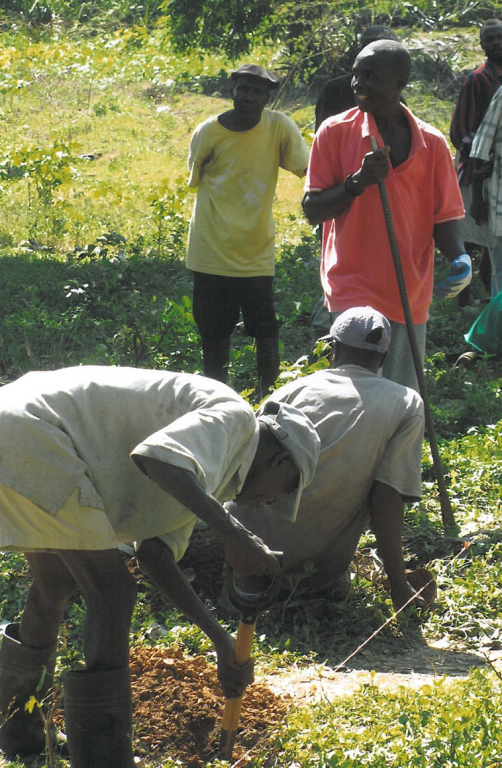 St. Remy's Haiti Mission group's future plans are to start an agricultural school to teach the people of the area how to sustain themselves through farming. Land has already been purchased next to the school for a land lab. 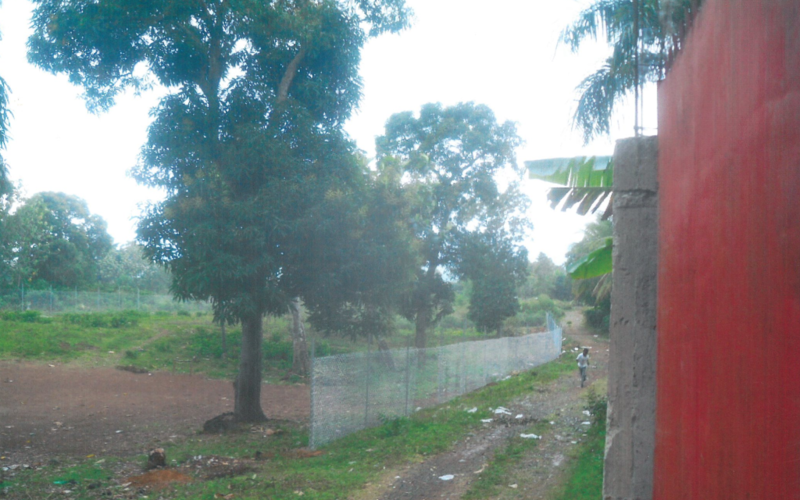 This project will not start until the medical clinic is complete. The people of this area are excited and enthusiastic about the progress that they are seeing. They are very thankful for St. Remy's generosity and pray for us everyday! Anyone wishing to travel to Haiti with the St. Remy group is welcome. One hundred percent of all the funds donated by the members of St. Remy's go to Our Lady of Victory Parish, in Balan, Haiti. Travel expenses are paid for by the travelers, and there are no administration expenses. In 2010, while we were there, the devastating earthquake that destroyed much of Port-au-Prince and the surrounding area occurred. We were 90 miles away. 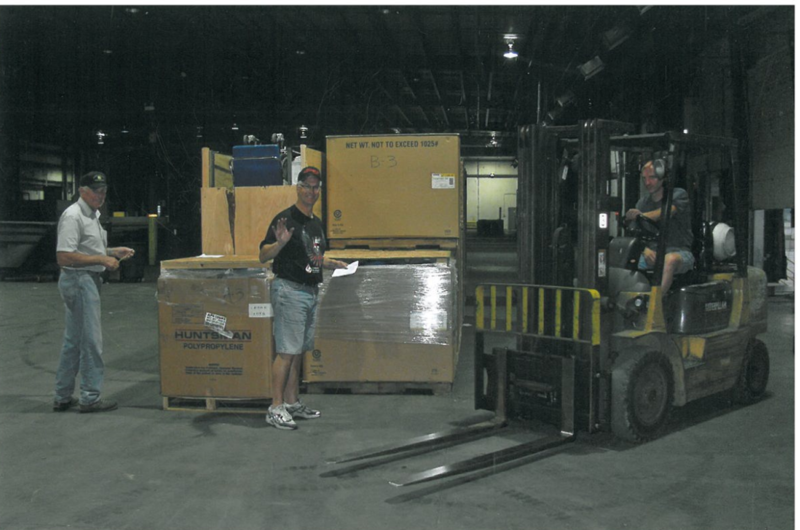 St. Remy Parish sent a 40-ft container filled with many items donated from the parishioners and the surrounding area. Donations consisted of medical equipment and other medical items, school supplies, office equipment, file cabinets, swing set, food, clothing, etc. In 2011, due to political unrest in the country, and an interim priest in the parish, we did not go to Haiti until summer. Only three of us went to Balan. 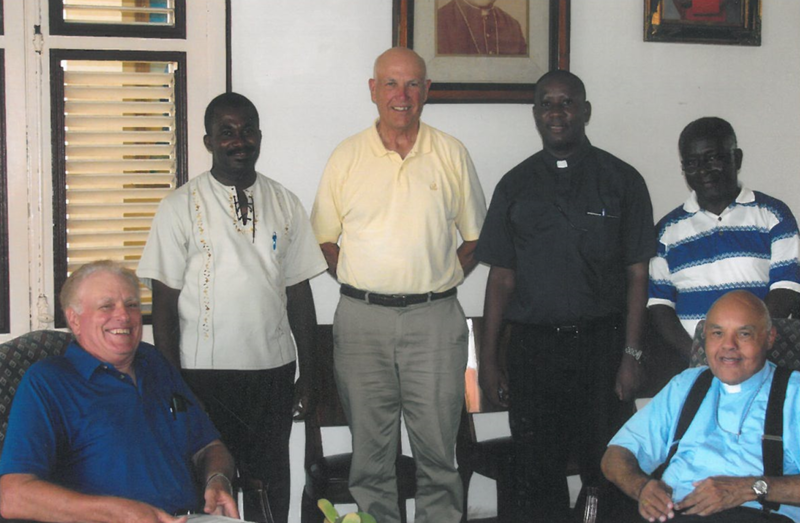 We met with the Archbishop to discuss what the main needs are for the people of Haiti. He stated that the needs were education, health care, and agriculture. 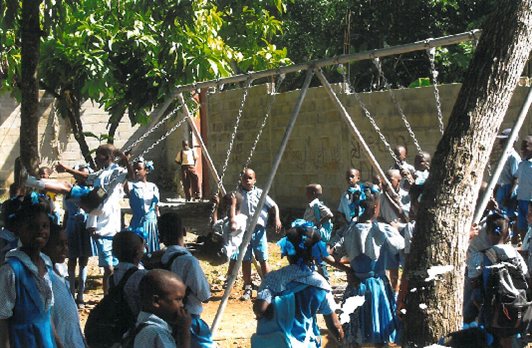 In 2012 we installed a swing set at the school in Haiti that we purchased at the auction at the Versailles Elementary School. The children had never seen a swing before. They were not long discovering how to use it! Pictured below are (L-R): Mike & Joan Bergman, Bonnie York, Ed Borchers, Dave York, and Jessica Stoltz. 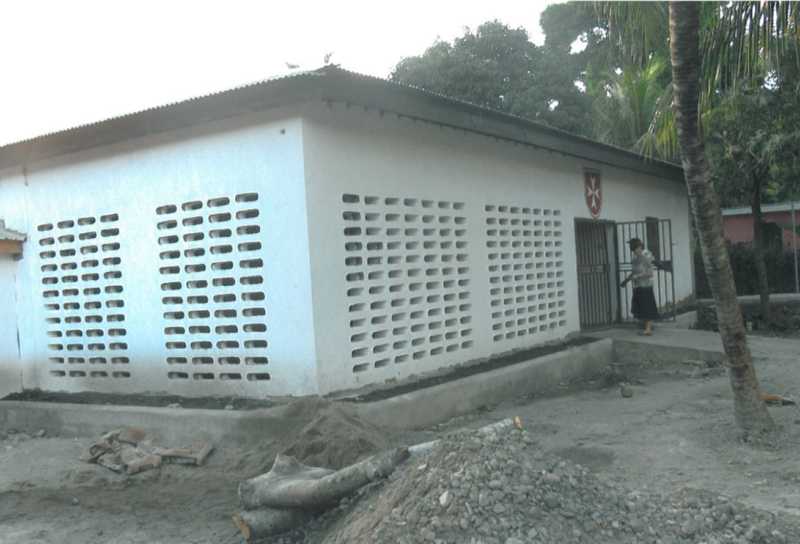 In 2013 we continued our efforts for completion of the medical clinic. Little progress has been made on this. 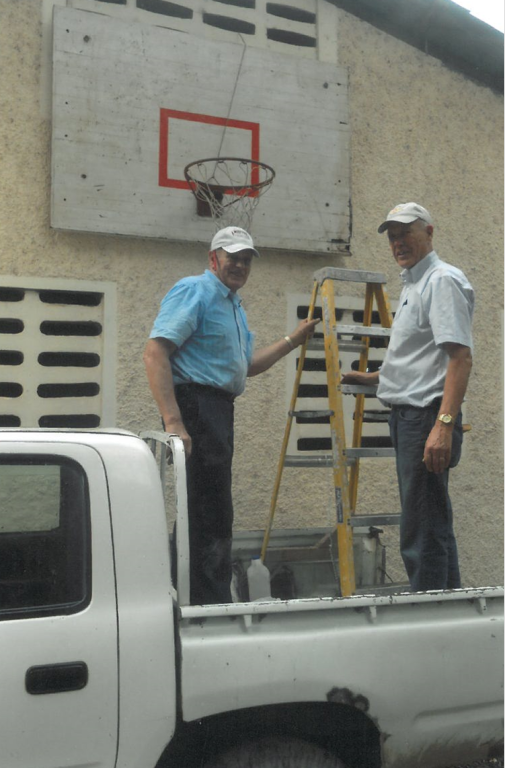 We installed a basketball backboard and rim on the side of the school. Each year we take a new picture of every sponsored school child. This way we can keep track of all of them and are now sponsoring 95 students. In the airport on our way down we met a university professor who teaches in a university near Balan who recommended an agriculture student to teach the adults of the parish how to raise their own food more efficiently. We interviewed him at the parish rectory. We all agreed on what the program should accomplish. He later sent us a detailed estimate of what the program would cost. In September he set up the program with 50 eager farmers. The UN has been giving the parish rice to help feed the school children. We were informed that they are no longer doing this. Therefore, the children are coming to school hungery and are not being fed. This is creating a problem for the students to study and learn. Currently 102 students are being sponsored. To help feed the children, the cost of sponsoring students is now raised to $300 per year (up from $250). 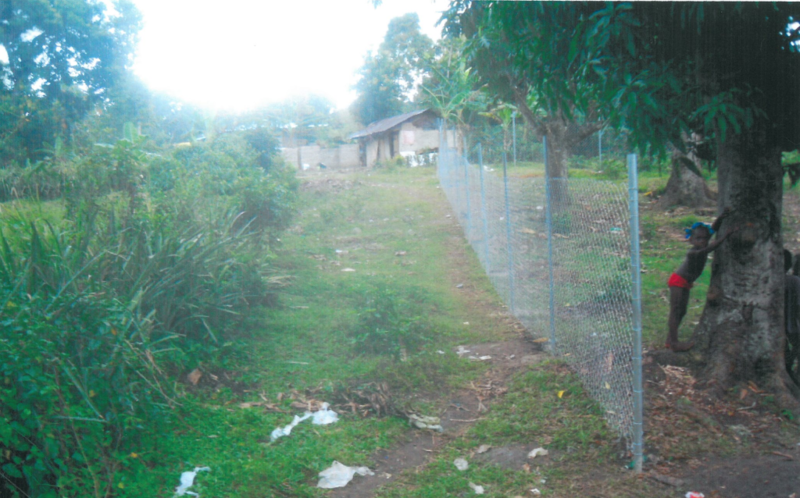 Ag School and land lab: In order to secure the crops, the farmers unanimously agreed that a fence needed to be installed around the plot before anything is planted. While we were there 50+ farmers came to install the chain link fence. The soil has been tilled and much of the plot is planted, with more to be planted in the next few weeks. 2015: We are working to get computer English language classes for key people (to better help us communicate with them). We are working with a college ag student to grow 3 crops per year at their land lab next to the school. We are working with the new Bishop to try to complete the medical clinic. A local hospital here in the USA, wants to possibly get involved with this. 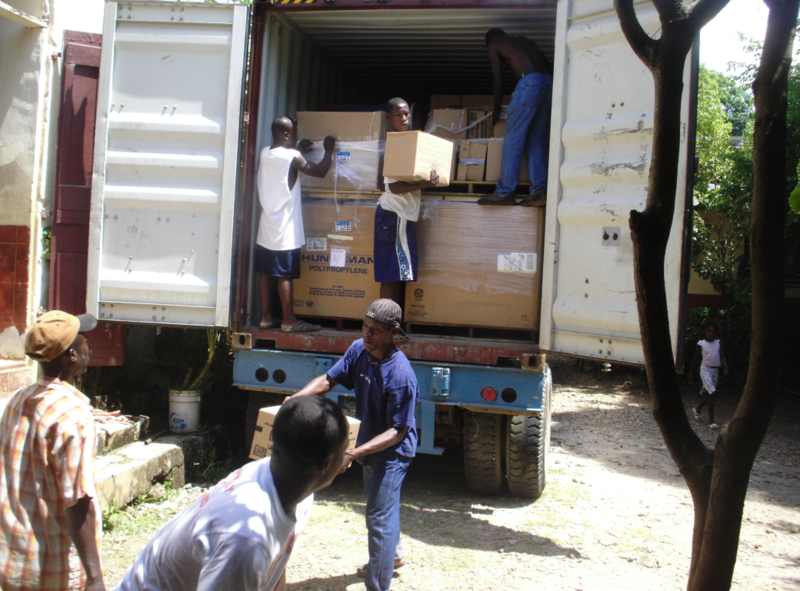 We have sent two crates of your donated supplies to them through Food For The Poor. There are 8 new children who need a sponsor. This will make 111 total sponsored children. This is very important. The Haitian parish must have these funds to be able to pay the teachers. "Help these people to help themselves by providing education and basic health care." The children of Our Lady of Victory in Balan will continue to be our primary focus. St. Remy parishioners now sponsors 111 of these students at $300.00 per year for grades kindergarten through 8th grade. This financial aide is critical and has contributed to the high school graduation of 38, and 13 have gone onto college in the last 4 years! These children are talented, creative, in need, and deserving. The school continues to operate under the leadership of Mr. Nickson Cherubn and some very dedicated teachers. It has been a difficult last couple of years with changes in the assignment of new priests, culture and communications and government. The mission group is now working with the parish priest, Fr. Rex. He is dedicated to the parish, but speaks very little English and progress has been limited. The mission group has traveled to Balan and with Fr. Rex, and discussed many issues which included school roof repairs, repair of school toilets, teachers pay, repair of church roof, solar panels, generator, etc. In 2017, with help from our funding, the church roof was repaired and inside is much improved. Fr. Rex obtained quotes on repairs of one school roof and toilet installation. 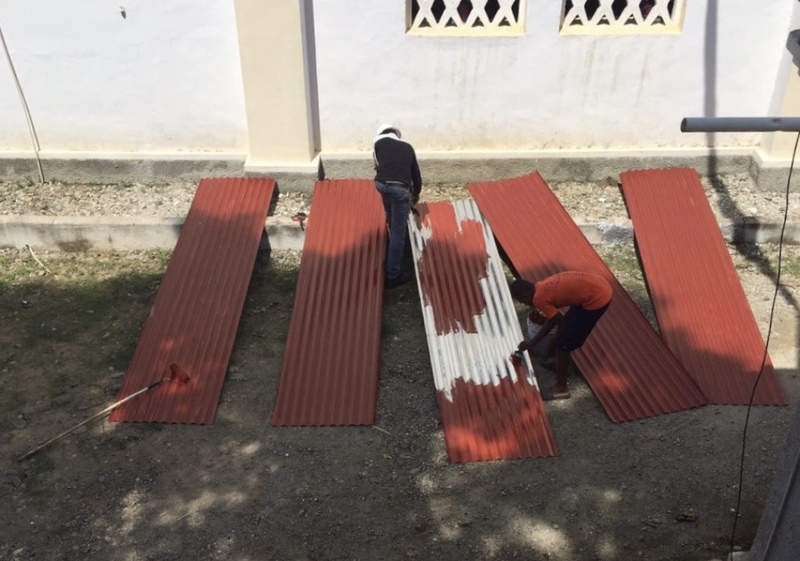 The school roof then was replaced in May of 2018, yet painting and other repairs are still much in need. It was agreed upon that the restrooms will be tabled for now due to water supply and drainage problems. Unfortunately, the Land Lab and the clinic, which were of much importance to all of us, is not Fr. Rex's, or the parish's focus. The need for substantial food and health care continues to be a problem in Balan and throughout all of Haiti. Since less than 5% of the people have any education, we feel that education is the only way to help them help themselves. Our mission thanks you all for your support and generosity. May God bless you all!